AWA's main resource is the network of women who support its quest and mission. They come from all walks of knowledge, but a love for art unites them all. Women world-wide band together to support art and conservation. One of the most exciting things about AWA is the connection we create between women artists of the past and modern women. AWA brings together ladies from all nations and ‘walks of knowledge‘ who have decided to join our quest. The Foundation is rapidly growing, as recognition for ‘our artists‘ becomes more widespread. Supporting art and restoration in Florence means participating in a combination of ‘grand gestures‘ and ‘small efforts‘. Together, we look to both the past and the future—for Florence… and for women around the globe. Together we will reclaim our role in the history of art. Dr. Jane Fortune, is an advocate for art preservation, social advancement and civic engagement. Are you wondering about the women who make AWA possible? Women world-wide band together and make an annual committment to support art and conservation. Florence has over 30 women curators whose support and guidance make AWA projects possible. 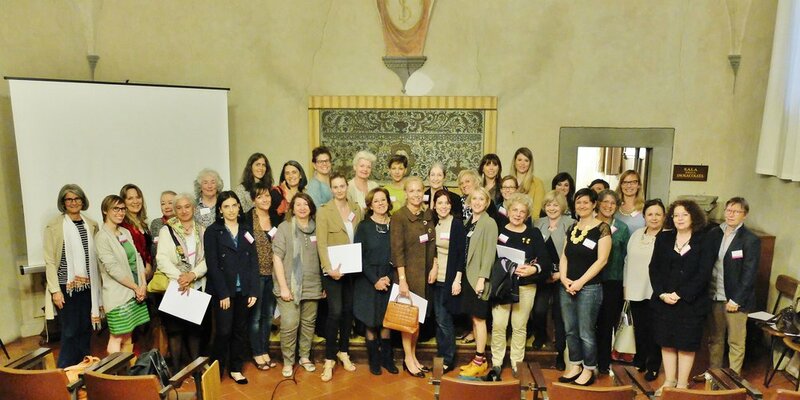 Volunteers around the world work with us to "advance" women artists, starting from Florence! Are you looking to know ‘who’s who?’ Here’s a list of AWA’s most dedicated ladies.